Sunday, Paris. Indian Summer is upon us, and there are gigs and projects for LUX in the works. 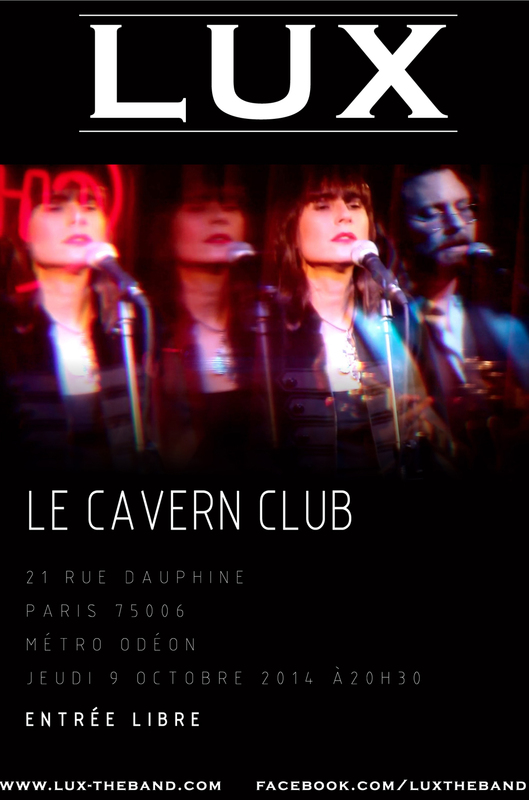 Up next is an acoustic concert at Le Cavern which is a long-standing venue for many Paris bands. It is dark, it is underground (literally) and it is right next door. This lovely poster reminds me to thank not only Valentina Peruzzo, who put all the elements together with style but to again thank Jehsong Baak who is the man behind the lens of most of our photos. Jehsong also, notably, directed the video for our first single – “No new love yet please” – and we hope to repeat that adventure for a second song very soon. In the meantime, check out his new website at www.jehsongbaak.com. This is an artist to follow.